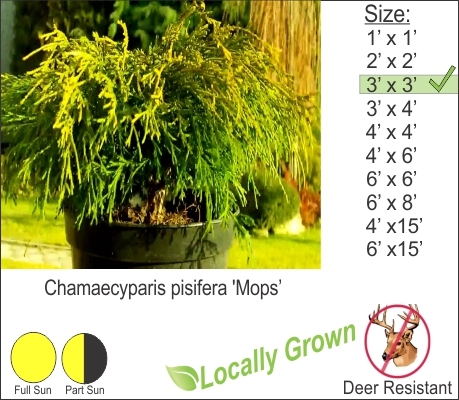 Mops Cypress is widely used in the landscape to create interest and texture with thread leaf vibrant yellow colors, this evergreen does not disappoint. You can use for plantings along the foundation of the home and simply just keep it trimmed to your desired height. Mops Cypress is also deer resistant and it is quite nice to have a splash of color in the landscape. You can pair it with Winter Gem Boxwood and Japanese Maples.